We are an affluent Manufacturer, Wholesaler, and trader of a wide range of Casual Shirts, Printed Shirts, Plain Casual Shirts, Casual Jeans, Men's Jacket, Linen Shirts, Formal Shirts and Men T-shirt. 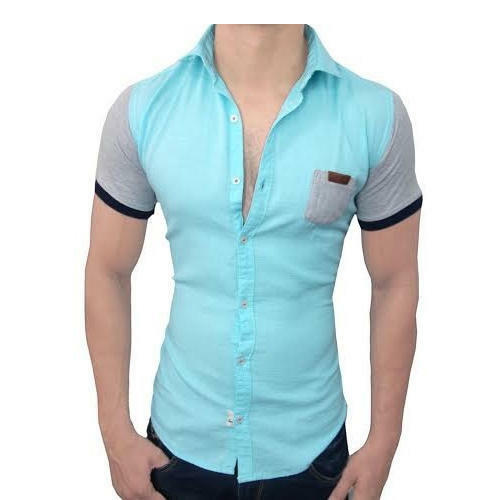 We are ranked as the eminent Manufacturer, Wholesaler and Trader of a comprehensive collection of Casual Shirts, Printed Shirts, Plain Casual Shirts, Casual Jeans, Men's Jacket, Linen Shirts, Formal Shirts and Men T-shirt. These garments are fabricated from optimum quality fabrics, which are procured from the most reliable vendors in the industry. Our wide product range is offered in different sizes, shapes, designs, and patterns for our clients to choose from. Besides, we also have the facility to offer customized solutions to achieve complete client satisfaction.